It’s been a quite while since my last posting. I’ve been out of shop but now I’m back with a clock. 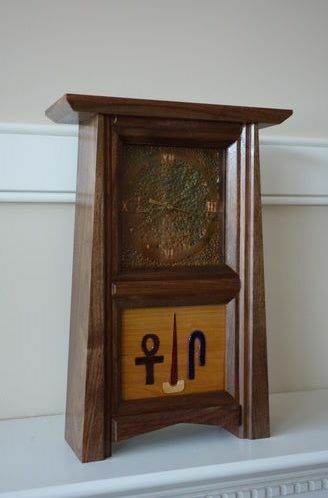 I started woodworking by making clocks. and hammered for antique look. and make it difficult to view. I edit the photo from the photo editor horizontally. Very nicely crafted! Glad you’re back on your game—hang in there and keep swinging. Great looking clock! I like the A&C look of it, and really like the clock face!